The Dot is protected by our famous Epiphone Lifetime Limited Warranty featuring Gibson 24/7/365 Customer Service which guarantees the instrument against defects in materials or workmanship. Experience a Dot soon at your favorite Authorized Epiphone Dealer. The Dot is constructed of premium laminated maple with a mahogany center block and a hand-fitted, glued-in 24.75” scale mahogany neck. 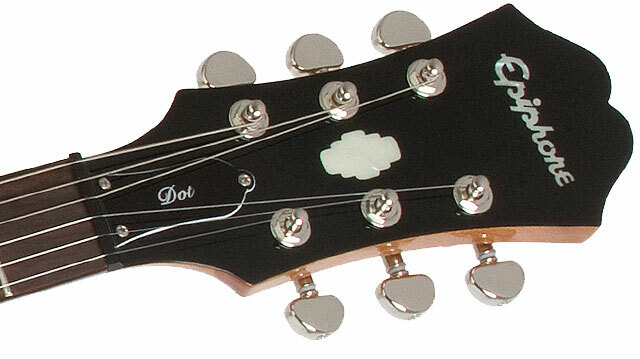 Other details include a fingerboard with traditional "Dot" inlay, a 1.68" nut, a SlimTaper™ “D” profile, and the traditional Sloped Dovewing Epiphone headstock. The Dot, like all Epiphones, features quality electronic parts including full-size 1” 500K Ohm potentiometers, Epiphone's all-metal pickup selector switch, and a heavy-duty output jack. 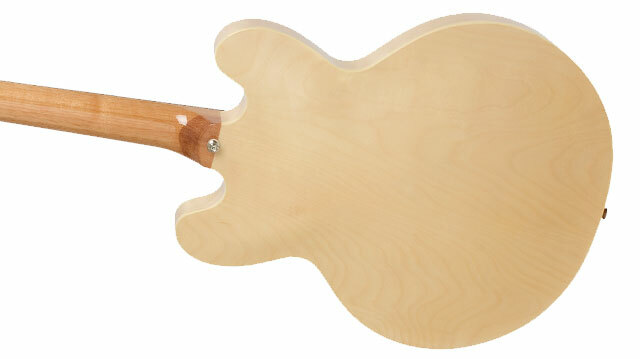 Its fabulous semi-hollowbody sound is voiced by a pair of real Alnico Classic™ humbucker pickups. 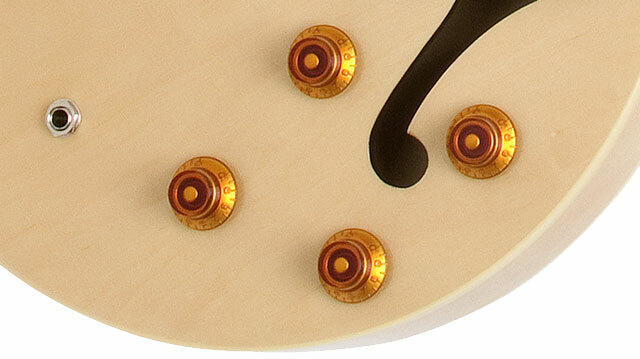 Traditional Kalamazoo style TopHat knobs control volume and tone for each pickup. The Dot includes Epiphone’s all nickel hardware including premium 16:1 ratio Grover® machine heads for superior tuning stability and accuracy along with Epiphone’s exclusive LockTone™ locking Tune-o-matic bridge and Stopbar tailpiece for great sustain. The Dot comes in four beautiful colors including Cherry (CH), ebony (EB), Natural (NA), and Vintage Sunburst (VS). The left-handed model comes in Cherry.